The BLLG is the larger of the two Lithium battery options we sell. It is smaller than a Large NiCd or NiMh and much much lighter. We use LiFePo4 cells because they give the most long term performance. These can be recharged over 2000 times and they are very safe. We guarantee 500 flashes at 200ws with the BLLG Large LiFePo4 Battery. It recharges very fast too. The separate international Charger, CL3U will charge it fully in just three hours. The shell of this battery is 2.75 inches high so it is between the height of the Medium and Large sizes of the Batteries from the NiCd and NiMh style but at a fraction the weight. Even the Large NiMh at twice the weight can't match the flashes per charge of this amazing Battery. At 200ws the Battery is guaranteed to give you 500 flashes and so at 25ws that is 4000 flashes per charge. 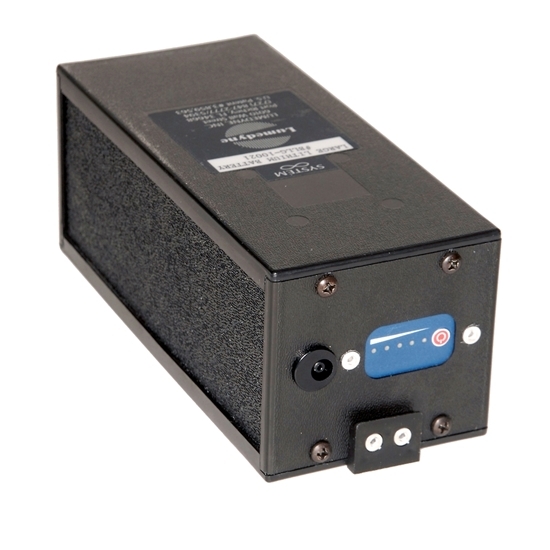 Inversely, at 400ws this battery will give you at least 250 flashes per charge.